Wait until the fruits are fully colored, and have stopped growing before you harvest them. The skin should be hard and will lose some of its shine when it is ready to pick. If they aren’t ripe, the skin hasn’t had time to toughen up…which makes it more susceptible to nicks, scrapes, and rot. Before the first frost, harvest your squash and pumpkins with a sharp knife, leaving 3 or 4 inches of stem intact. Be careful not to break the stem off your squash or pumpkin so they will keep for a longer period. 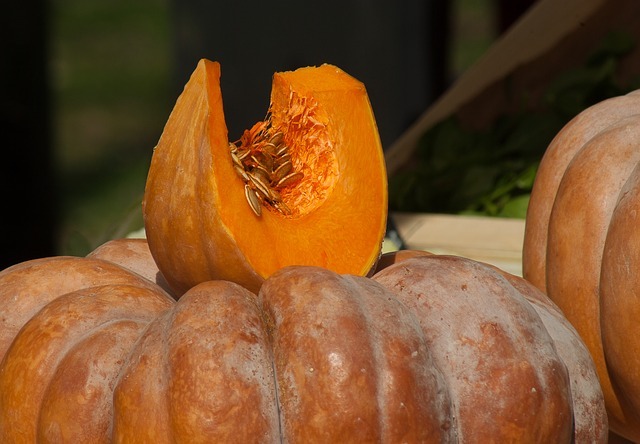 As you harvest and move squash or pumpkins…don’t carry by their stems. The weight of the fruit can cause the stem to break off, allowing bacteria and mold to grow on the ‘wound’. Store pumpkins and squash in cool, dry conditions. To give your squash and pumpkins a longer storage life, wash the entire surface with a mild bleach solution and allow to cure in a warm (around 80 degrees Fahrenheit), dry area out of direct sunlight for 1 or 2 weeks. This will help the skin toughen up for storage. Once your pumpkins and squash are cured check them for any bad spots, cuts, or scrapes that may shorten their storage life. Use these fruits up first, or you may also can or freeze them. 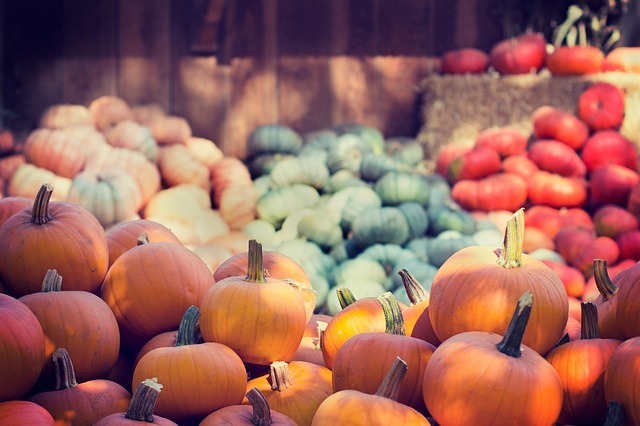 A thin layer of mineral or vegetable oil may be applied to the surface of your pumpkins, winter squash, and gourds to protect the skin from bacteria and mold. Use a clean cloth to rub the oil over the fruit and buff it to a nice shine. 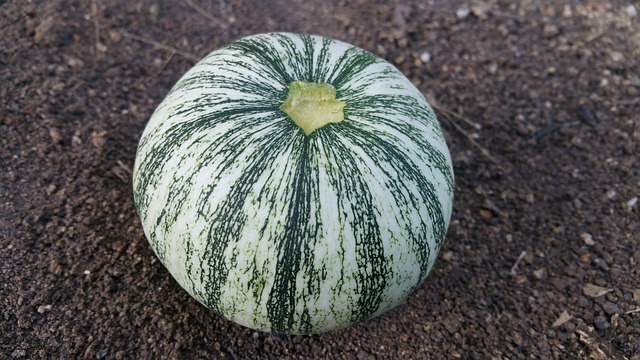 Store squash and pumpkins in a cool (50 – 60 degrees F), dry area. Place them on cardboard, hay or straw, or on a clean wooden shelf. Do not store on concrete because the condensation can cause rot. 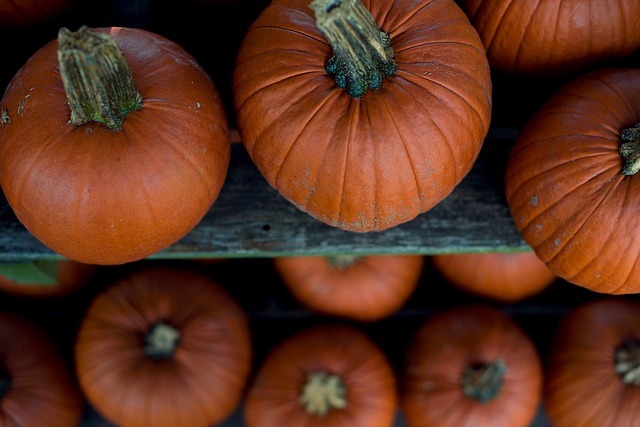 Check your stored pumpkins and winter squash on a regular basis. Use up or compost any with bad spots and clean their ‘neighbors’ with a mild bleach solution to prevent spread of disease organisms. 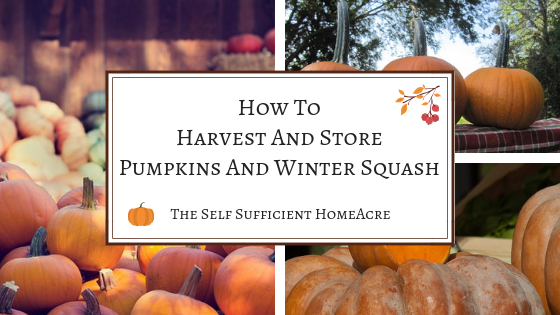 Properly stored, your pumpkins and winter squash should last anywhere from 2 months through the entire winter, depending on the variety and the storage conditions. Some varieties, like Musque de Provence, are excellent for winter storage. These varieties taste best after a month or so in a cool, dry, dark spot. 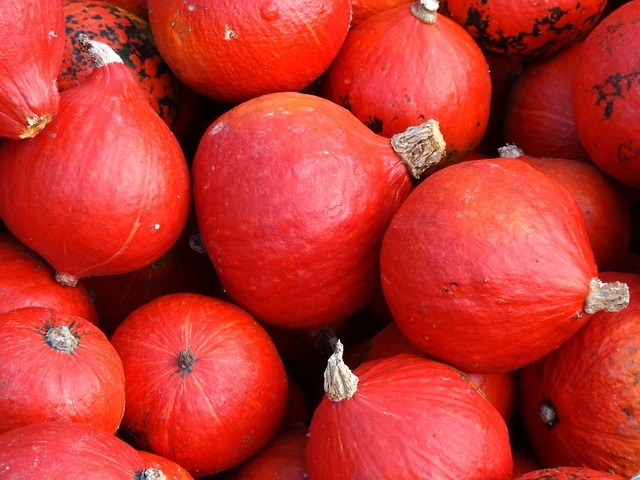 Winter squash like the red skinned hubbard varieties should be used within 2 or 3 months. Use These Ones Up Quickly! 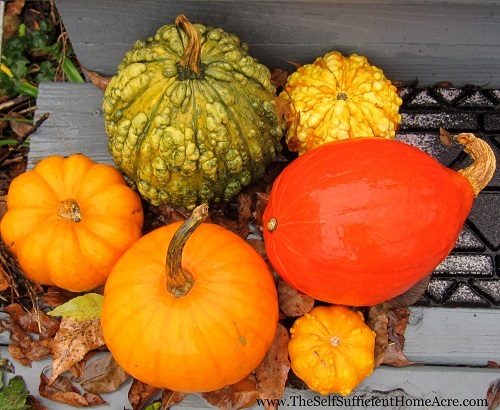 If you have the space, plant several different varieties of squash and pumpkin. Not only are they beautiful additions to your fall decor, but your tastebuds will appreciate the variety of flavors and textures. I shared this post on the Simple Homestead Hop! » The First Day of Autumn! » A Basket Full of Autumn!